If we were having coffee, I would tell you we are on the go again, spending time in Lake Tahoe this weekend to celebrate hubby’s birthday. We’re sitting at a quaint little diner having breakfast. They have coffee and tea. What would you like as I tell you about my week? After two months of limping around and wearing a knee brace, my swollen knee and I finally went to the doctor. No meniscus tear (unless the x-ray shows differently), just my old patella (knee cap) injury re-injured the same way…twisting as I moved, walked, whatever. Heck, I can wreck my knee while I’m sleeping! I’m told there is no cartilage between my patella and the knee joint. It’s been like that for six years when I first injured it. Doc gave me an injection of steroid into the knee joint. So far so good. The swelling has gone down significantly! Speaking of medical issues, I hope you have given some thought to the victims and survivors of breast cancer during this month. 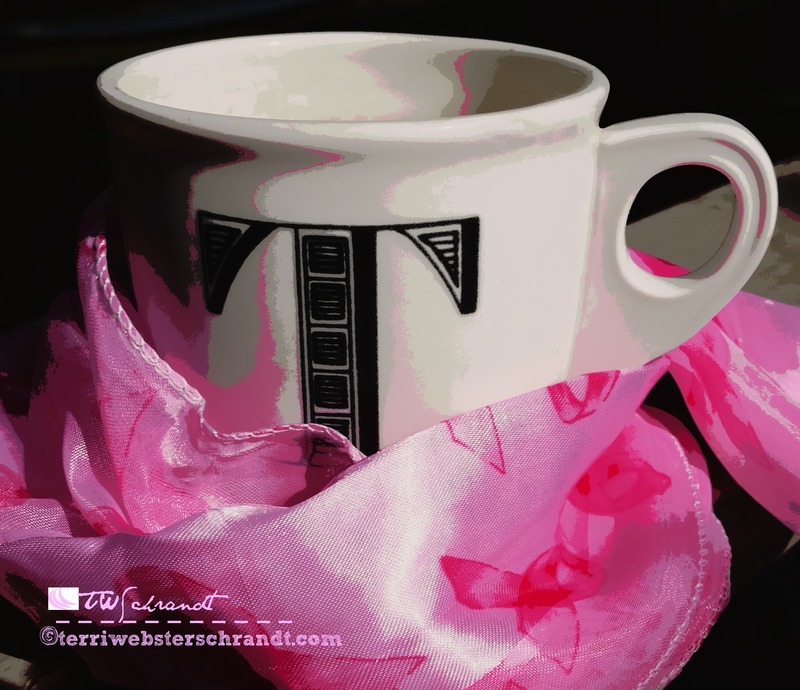 If we were having coffee, I would tell you that I personally know (and knew) at least 10 women who battled breast cancer…some won, some lost. A best friend and work colleague, both just over 50…survived. My daughters’ step-mom, 41, and another work colleague, 63…lost their battles. While I was waiting for my x-ray, I was able to squeeze in (pun intended) a mammogram. If you are a woman over 40, please get one. If your health provider balks at 40 year olds asking for mammograms, argue with them. A young woman who worked for me a few years ago was diagnosed last year at age 31. The cancer was aggressive and resulted in chemo, radiation and a double-mastectomy. Did I tell you she is now 32? She, her mom and a huge group are walking today in Sacramento in the Making Strides To Fight Breast Cancer event near the California State Capitol. Events like these are the life blood of fundraising, in which I posted here. As I mentioned, I am in Lake Tahoe, otherwise I would be there with my giant coffee mug and my slightly swollen, braced knee, walking for this event. Have you walked in a breast cancer awareness event or know someone who has? If you can’t physically participate, you can always donate to the cause. Join Part-Time Monster’s weekly feature, Weekend Coffee Share. I added this post to The Anxious Dragon’s linky party! Happy belated birthday to hubby! And I am so sorry about your knee…hopefully you’re on the mend. Very touching mention for Breast Cancer awareness! Thank you, Lucile! I’m sure we are all touched by someone who has had breast cancer. You’re welcome! Yes we surely are. Just made my mammogram appointment this morning, Terri. Glad to read that your knee is better and have a lovely celebration weekend! Congrats, get that appt over with! We could have used more sun but I really loved walking around in the rain with my hubby! Enjoy Lake Tahoe my dear and rest that knee! Thanks! I’m on the mend! They are now sending them for mammograms at 35. My 2 under 40 year old daughters have been done already. Tahoe is great. Great place to celebrate a birthday. Sorry to hear about your knee, and hope the steroid shot does the trick. Thanks, Doug, it did help! I do have 2 friends who have walked in the Avon walk for breast cancer- both survivors- one of them a 2 time survivor after a 2nd recurrence 15 years after the first. Hope your knee is doing better and better each day! That is great to hear, and thank you! Sorry to hear about your knee but it sounds like you are having a wonderful time regardless! Are the leaves changing color around the Lake Tahoe area yet? My husband and I were downtown last night and they had the whole US Grant hotel lit up in pink for breast cancer awareness month! It was a sight to see. I love when communities light up their squares! My knee is much better, thanks! Lots of fall leaves in Tahoe, so striking against the dark green of the pines. I’m sorry about your knee, but Tahoe sounds fun. I’ve never been there. I am seeing my surgeon this week to talk about knee replacement surgery. That is what having no cartilage and arthritis will get you! I’ve had the meniscus tears, cortisone and all the rest, nothing,left but new! Hope you are up and around pain free soon. Gosh, Michele, sorry to hear about your knee! Surgery works for so many people. I’m doing much better, thanks! Terri! I’m happy to hear that your knee is feeling better and that you are enjoying your husband’s birthday weekend in Lake Tahoe! That little diner sounds really cute and I’ll take a black coffee with the cheese omelette and a side of hashbrowns! On a serious note breast cancer and all cancers, are such terrible diseases that have affected all all of us in one way or another. I’m sorry to hear for the loss of loved ones that you’ve had in your life from this terrible disease. I admit that I have never done any kind of walk for the cure but you inspire me to do so. Sending you and everyone lots of love and strength. Hope you had a great weekend! Thanks, Terri! My weekend was great… Went apple picking and spent time packing up .. Still not ready for the move to my new place, but I’ll get there! Much love and thank you always for your support ! Ouch! That knee sounds very painful Terri. I hope it’s well on the mend now. Have a great week Terri, glad that your knee is feeling better. Cancer is such an awful disease, which takes far too many people, way before their time. I once did ‘Race for Life’ in aid of cancer when with some work colleagues.